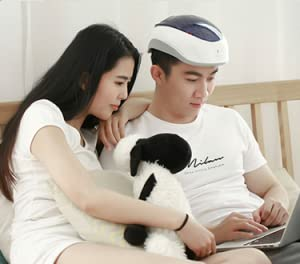 This is the new iHelmet Model 200S, an effective treatment for men and women suffering from mild to moderate hair loss. New! The future of hair growing device is here. 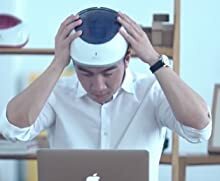 iHelmet is the wold's first smart low laser hair growth helmet.The product uses 650nm wave-length medical grade lasers. 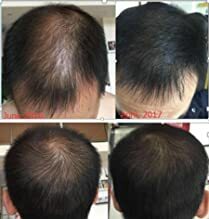 The amount of 200pcs laser light can penetrate the scalp of the surface layer within 3-5mm and get through to the hair follicle, so that the atrophic hair follicle can be stimulated to regrow, thus facilitating the hair growth and reducing further hair loss. At the same time, it will improve the quality and strength of the hair you have. t's a pure physical treatment without any side effects. The product is built with high precision temperature and humidity sensors in it to ensure energy delivery to stimulate the hair and follicle renewal.This model has 200 high-density lasers placed throughout the inner helmet, which are then divided into seven areas. Every area can be adjusted through the smartphone application, for a customized treatment based on your specific hair loss, and hair thinning concerns. Therefore it can focus treatment in the hair-loss areas, and reduced the illumination non-problem areas. This greatly improves the accuracy and efficacy of the treatment. We are very excited to offer the new FDA cleared iHelmet LTD200S. The value of this device is the quality it is made with and the technology that goes into it. This iHelmet Model 200S, is an effective treatment for men and women suffering from mild to moderate hair loss. This 3rd generation laser hair growth helmet has 200 individually placed lasers throughout the helmet. You will be able to customize treatments, tailored to your specific hair growth needs with 7 separate treatment zones. The custom zones allow you to identify your specific trouble areas - your hair thinning pattern - and focus the treatment only where it is needed. This provides a better outcome. Even the movable soft rubber fitting tabs, designed to ensure the helmet fits well on your head for customized comfort, show the level of detail and thought that went into making the iHelmet. Beyond the iHelmet build and design, there has been a great deal of expertise invested into the development of the smartphone app that you use to tailor your treatments and monitor your progress. Through the app you will take baseline pictures, set up your treatment routine and customized zone approach. You will get reminders and guidance on treatment times to ensure you stay on track and you will be able to see the progress by comparing the pictures as you go. John, when comparing this device to others, people are impressed with the quality of build, the professionalism of the app, and the results that they get - and they know the results they are getting is real by the comparisons that are tracked in-app for you. The product will automatically pause treatment if the sensor detects that the head is not in close proximity to the sensor, and will resume again once close enough. At the end of the treatment, an audible tone beeps to indicate the treatment is over and then the helmet will automatically shut off. This is the new iHelmet Model 200S, an effective treatment for men and women suffering from mild to moderate hair loss. Attention has been given every element that defines this 3rd generation laser hair growth device - the latest advances in low-level laser therapy and customized treatment tailoring with 7 separate treatment zones. iHelmet is more than just a helmet. It is the future of hair growth device. IHelmet Hair Growth Helmet consists of laser diodes that are spread throughout the helmet. 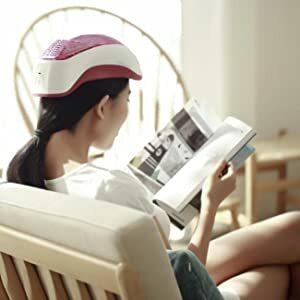 The product uses diode lasers to cover the entire area of the head that is normally covered with hair, and this unique design allows the treatment of the entire scalp without manual movement. The product will automatically pause treatment if the sensor detects that the head is not in close proximity to the sensor, and will resume again once close enough. At the end of the treatment, an audible tone beeps to indicate the treatment is over and then the helmet will automatically shut off. Uses Phone App control to record scalp data and remind users when its time to use it. Features ASE - Auto stable energy; Laser energy is reduced if the surrounding temperature rises. This ensures stable treatment for maximum efficacy. US FDA cleared and CE (Europe) approved. iHelmet is good for men and women with androgenetic alopecia, alopecia areata, postpartum hair loss, chemo hair loss, pressure hair loss. And it is suitable for men with Hamilton I-V and women with Ludwig I-Ⅱ. 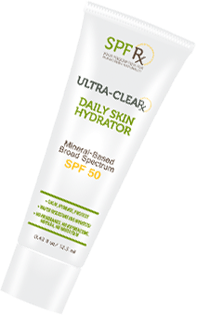 However - it is not proven effective on people with very dark skin tone (known as Fitzpatrick skin types 4 and 5). If you are unsure of your Fitzpatrick skin type - consult the Fitzpatrick chart by clicking HERE - or consult your dermatologist. Warranty: The iHelmet LTD200S is made by Slinph Technologoties Co., LTD, and is the first FDA cleared hair growth device made in China. It has a full 1-year warranty against manufacturer defect. Cal Pharma is proud to be the first partner to offer this amazing device in the united states. If you have any defect or issues, simply contact us and we will work with Slinph representatives to support and enforce your warranty protection. iHelmet is a milestone hair growth device, in part due to the integration of this smart phoneapp. 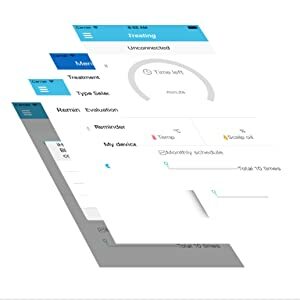 The App has been tailored to offer a personalized treatment experience, laying out a treatment schedule, reminding the user of when treatment is due, and keep track of the progress with comparative before and after pictures for the user's private reference and use.